Steelcase Inc. is recalling the Amia desk chair as it has been discovered that the pivot pins installed in the control mechanism under the chair seat can fall out, posing a fall hazard to the user. 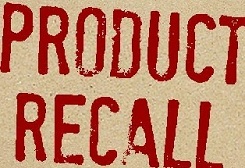 This recall affects the model 482 Series Steelcase Amia desk chairs that were manufactured in the United States between March 1, 2011 and June 6, 2011. The model number and manufacture date of the affected chairs are printed on a label on the underside of the chair seat. Consumers should immediately stop using the chairs and contact Steelcase to receive adhesive covers to apply over the pivot pins on their chairs. I don’t know how many injuries there have been. I wish when the feds sent out these reports there was a comments section that said things like, “Maybe this recall was unnecessary, I don’t know” or “Man, this thing is awful. It is going to kill people and I can’t believe these idiots built this thing like this.” Unrealistic, sure, but a lot more informative for readers.